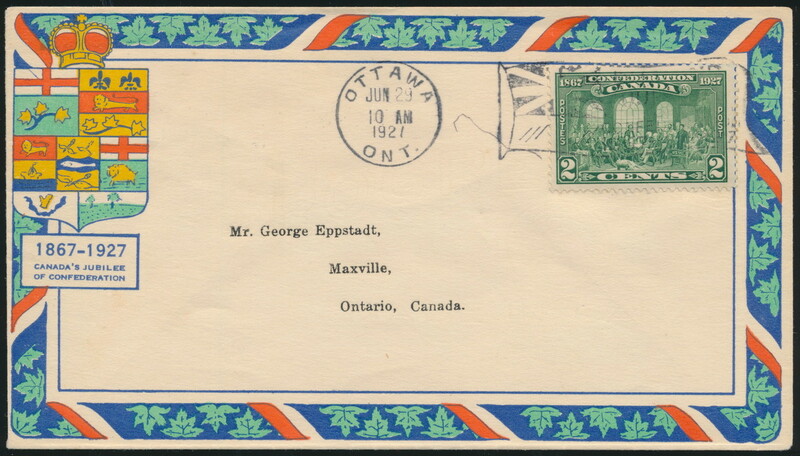 Lot 315 Canada #142 1927 2c Fathers of Confederation Epstadt First Day Cover, postmarked Ottawa flag machine on JUN.29.1927, addressed to himself in Maxville. 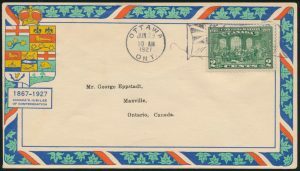 Colorful, fresh and very fine, with a small pen mark near stamp. Unitrade CV$150, sold for C$110.00 plus 15% buyer’s premium.